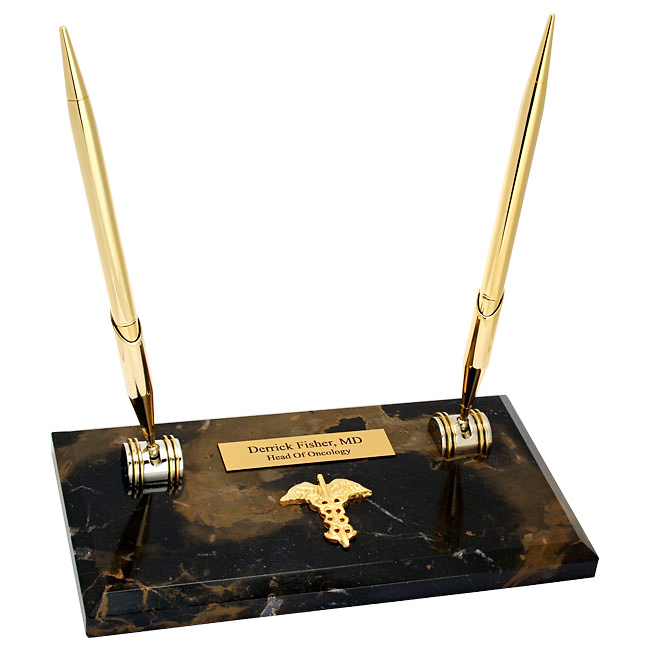 Made of black and gold genuine marble, this two pen desk stand is made just for doctors, nurses and other medical professionals. 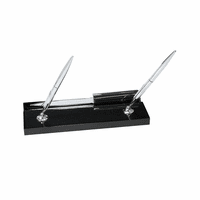 It includes two brass pen stands, with matching ballpoint pens included. 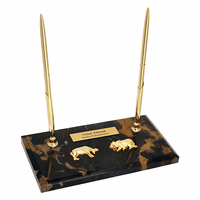 Centered between them, mounted to the marble base, is a brass Caduceus emblem. The Caduceus emblem is a winged staff and serpent, the symbol of the modern medical industry. Add a personalized touch to this desk set for doctors and nurses with an engraved gold plate, attached to the base in front of the Caduceus emblem. 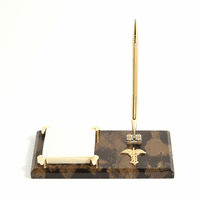 The engraved marble pen stand looked awesome and was delivered sooner than expected. Thank you for Outstanding customer service !